Love the colors together with black!! Lovely!! I love every single little thing on this card, Kristie! Such a striking card, Kristie. Love the black contrast with the colours. Love this to bits, awesome colours! Love this card. The colors really pop! Great cards Kristie. Love the colors and the design. Awesome CAS card! I can't wait to use this design myself. Could really crank out a bunch of these! Awesome colors! Love the big, bold sentiment! Did you inlay the diecut? 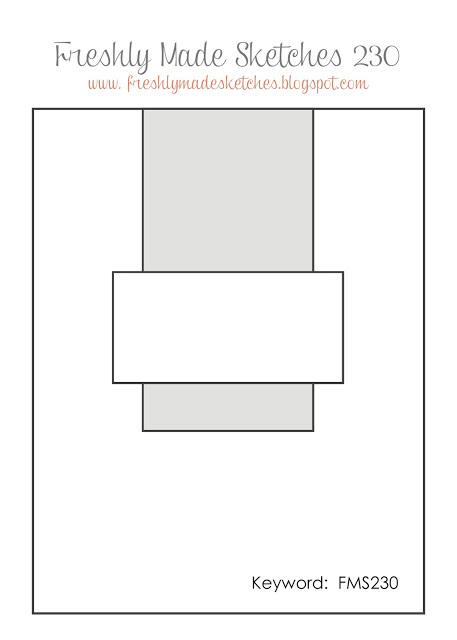 Overlapping the 'swooshes' creates a nice bit of color change/harmony - looks great. 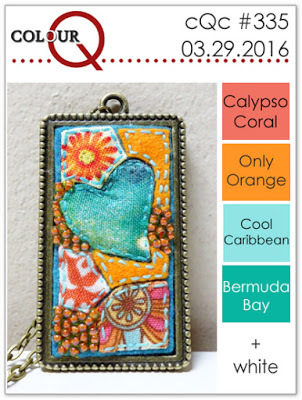 Another fun way to use the colors, Kristie! I need to take that set out and play with it. This is such a creative interpretation of the sketch! Love the colors, too. GREAT take on the colors Kristie, love the bold black sentiment! Thanks for joining us at ColourQ! Nice card! Love the ombre effect and the different ways you scored the lines. Both styles are great! Great cards Kristie! 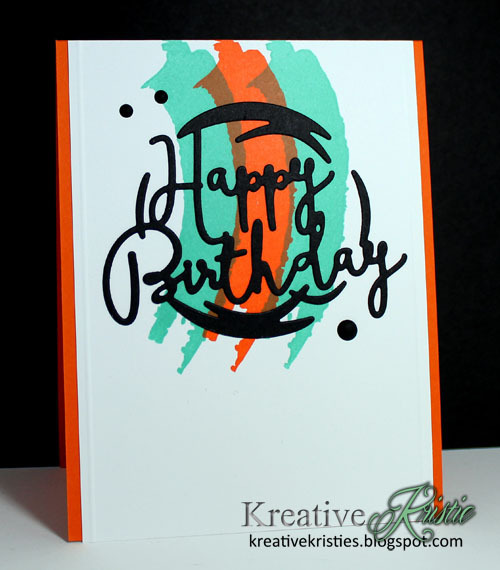 Love the pops of colour with the black die cuts. Beautiful bright colors Kristie. the black really sets them off! Beautiful cas designs!!! Love these fun brush strokes! Thanks for joining us at ColourQ! Eye candy!! your colors are stunning and I can see the sweet score lines! : ) Beautiful card!! Wouldn't have thought to use Watercolor Wonder with this new birthday die, but they go together well. 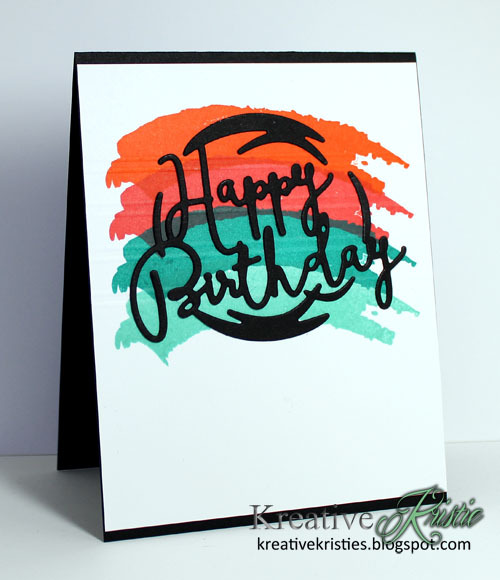 Great color choices with the black die cut, Kristie! LOVE THIS! 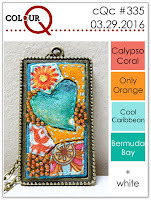 The colors, use of dies and stamps together, sooo cool! What a wonderfully creative take on the sketch! I love your bold splashes of colors. Thank you for playing along with us at Freshly Made Sketches. Congrats on your win at PTI!! What a rockin' card. Loved the pic of you with Michele on FB. Were you in MI? Congratulations on your PTI win! What a nice, bright colored card! Fabulous card, Kristie! CONGRATS on your win at PTI!!! Love the beautiful strokes of color!